Meet these handsome young men in my life. One is my handsome husband that I love beyond words. The other is my 18 month old nephew. This was the two of them all dressed up on Easter Sunday. See my nephew’s suit outfit? Yep, it came from the thrift store. 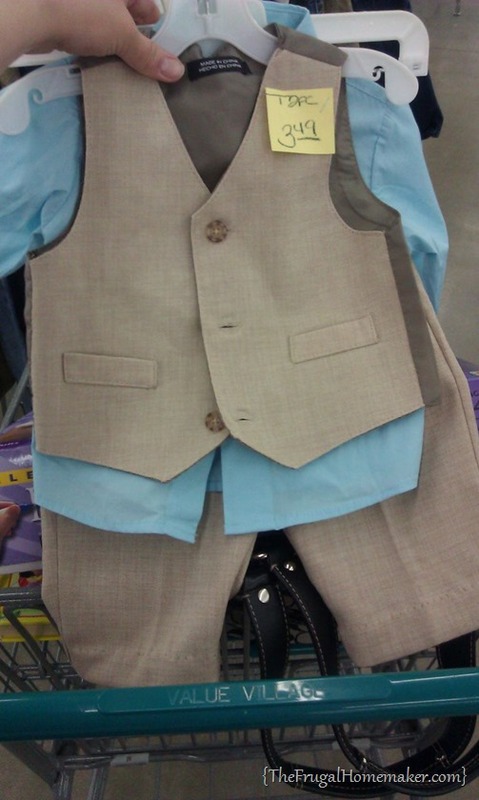 $3.49 for the vest and pants and the shirt was 1/2 off and cost $1.25. 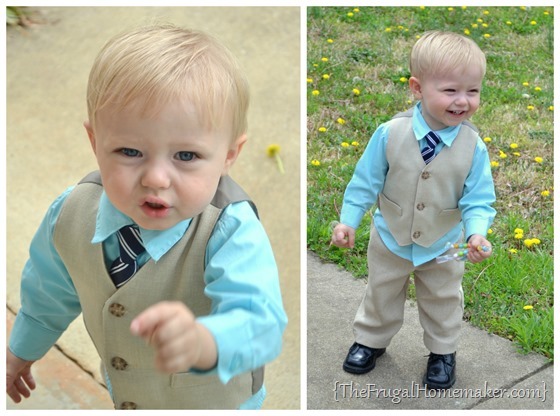 Under $5 for a really nice Easter suit that fit him perfectly! 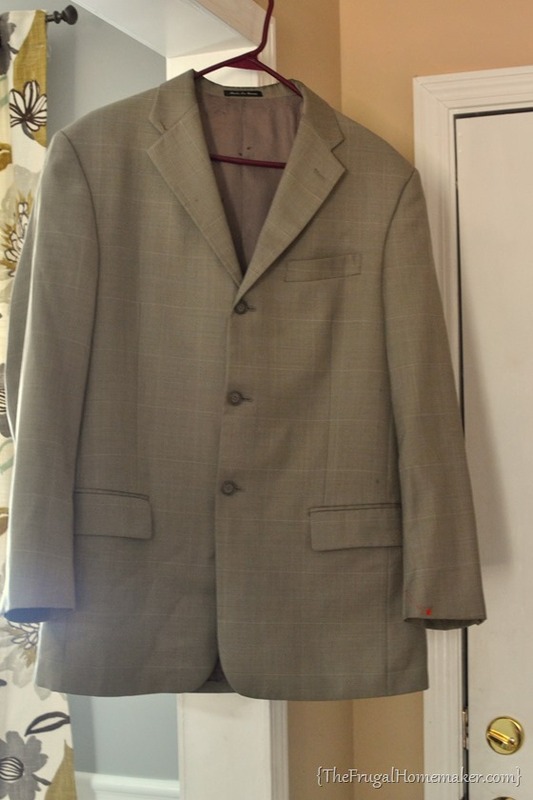 And recently I found this really nice 3 button suit coat for my husband at Goodwill for $5.95. Definitely can’t beat that! Even though I need to get it cleaned, the $4-5 for that will still put this coat under $10. And I stopped at quick yard sale and paid $1 for all of this. The frame was 25¢ and a nice 11×14 wood frame, and the candlesticks were 50¢ and 25¢. They are totally nasty dirty right now, but I can’t wait to show you what they will look like after I get done giving them a little makeover. Look for that post in the next 2 weeks. 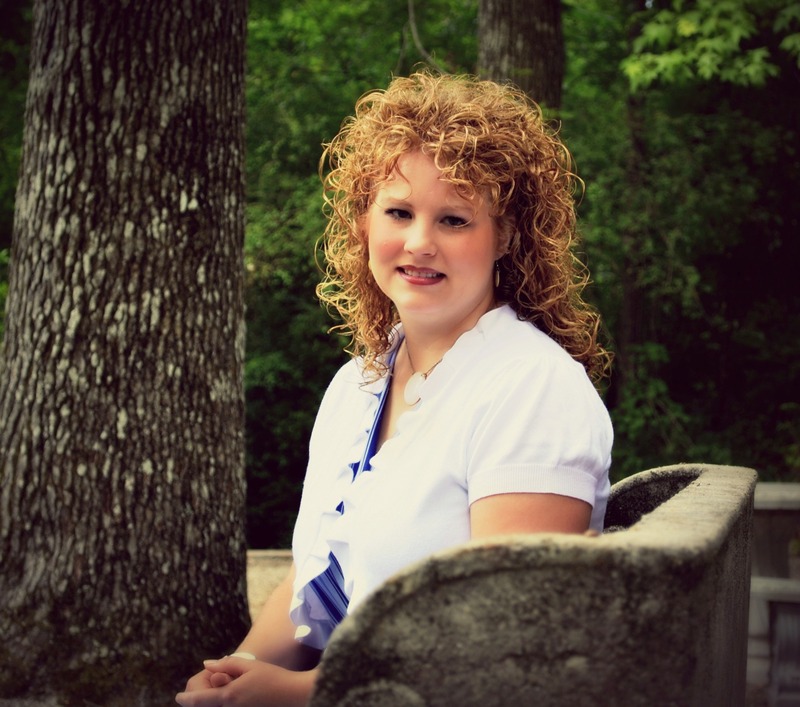 Have you found anything recently at thrift stores or yard sales? It is prime yard sale season, so get out there and find some treasures!! Unfortunately, in So. California our thrift stores are not very thrifty. I’ve seen goodwill sell target’s donations for more than the clearance price on the item. Very sad indeed. Sometimes it’s cheaper just to browse the stores here. I’m always amazed at the prices others pay in other states because you’d never find them that low here. Those candlesticks would have been at least $3 if not $5. 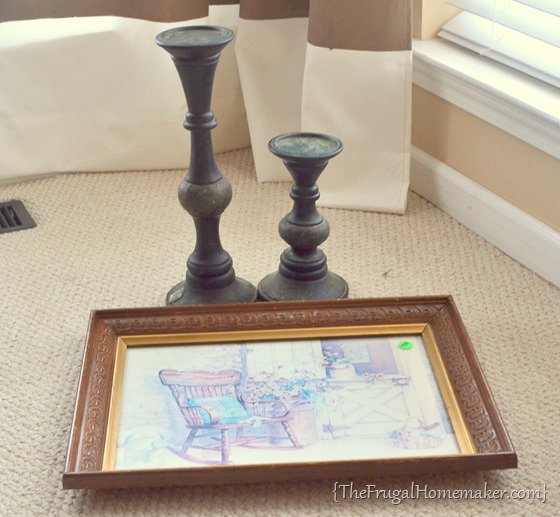 Great finds for your men and your yard sale finds! I recently found and posted on my blog) a cute purse at the thrift store that I love. It has a fun color and enough pockets for all my ‘treasures’. 🙂 I am really excited to see how your transform your yard sale finds!! 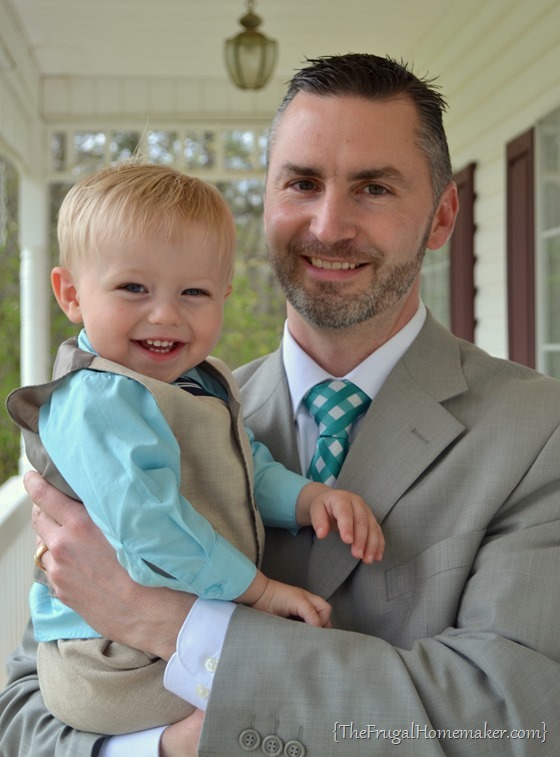 Your nephew is a cutie and he looked so nice on Easter. Had no idea you got such a deal!!! I can’t wait to see how you clean up those candlesticks. Are they metal or wood? I have found a lot of metal candle holders/sticks over the past few months and most of them need some work but couldn’t turn down the deals since I’m on the hunt for lots of new decorating items/accessories 😉 Thank you for your posts.